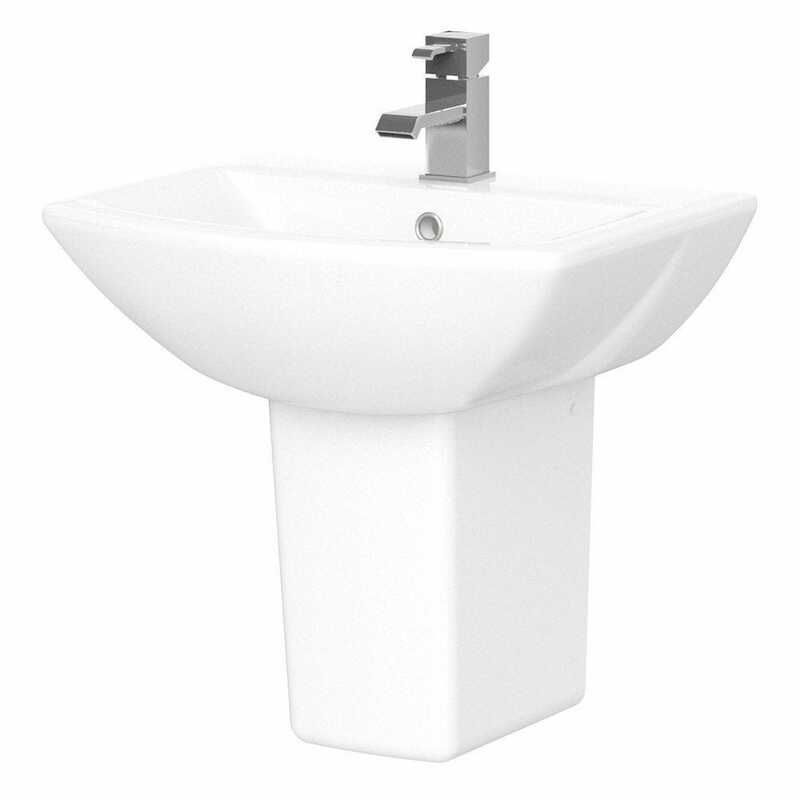 The Assembly basin with semi pedestal has a soft square look, giving this basin a contemporary and modern look. 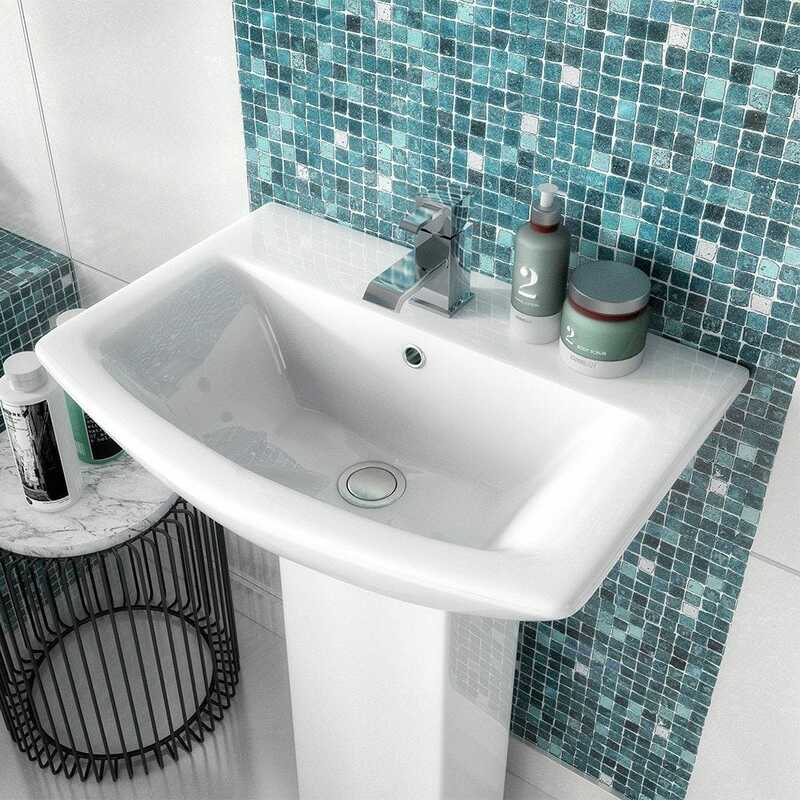 Made from vitreous china and a 5 year manufacturer guarantee. 5 - 7 Working Day Delivery Service is FREE on orders for £199 Including VAT or more. For orders under £199 the delivery cost is £25.00. 2 - 3 Working Day Delivery Service is £35.00 on orders for £199 Including VAT or more. For orders under £199 the delivery cost is £45.00. AB, BT, CA, DD, DG, EH, FK, G, GY, HS, IM, IV, JE, KA, KW, KY, ML, PA, PH, PO30-41, SA, TD, TR, ZE. Please use the "Estimate Delivery" option on the basket page, once you have selected your products, to calculate the delivery charge for your precise postcode.